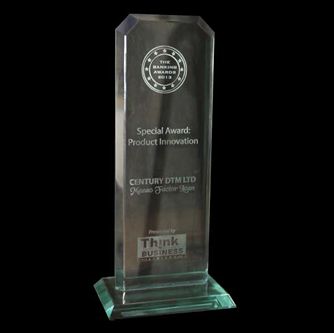 At the Think Business Banking Awards for 2013 held on 30th April 2013, Century was awarded the Special Award for Product Innovation for its Mazao Factor product. This product seeks to address the perennial problem of farmers side-selling their produce to brokers at throw away prices to meet their immediate cash needs. It also empowers women the majority of whom provide the labour in the farm yet the land belongs to the men and when payments for produce are made, they are paid to the men. The Mazao Factor facilitates the spot cash payment for confirmed deliveries made. This allows the farmers to invest in their next crop cycle, meet their needs and creates disposable cash which can be turned into savings to ensure income smoothing.